for Public Facilities, Educational Institutions, Houses of Worship, Parks & Recreation. 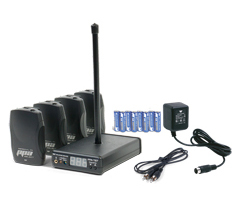 These wireless FM systems are designed to discretely deliver audio to listeners in public and private venues such as lecture halls, meeting rooms, churches and theaters. Available with multi-channel receivers, they are also great in multi-language environments requiring simultaneous language interpretation and audio description. FM ADA KIT for assembly areas with with occupant loads up to 50 or less - expandable. Note: Additional receivers may be required based on occupant load. Williams Sound PPA VP 37 FM System for occupant loads up to 100 - expandable. HED 021 + $16 ea. HED 026 + $20 ea. HED 027 + $20 ea. EAR 022 + $16 ea. EAR 013 + $16 ea. EAR 014 + $19 ea. EAR 008 + $16 ea. PPA T27 Compact base station transmitter with ANT 021 whip antenna & power supply. ANT 005 Remote coaxial antenna, 1,000 ft. transmission range. NKL 001 Neckloop. Induction interface for T-coil hearing aids. Get User Guide. BAT KT6 2-Bay drop in charger kit w/ CHG 3502 & (2) AA Bat 026-2 batteries. 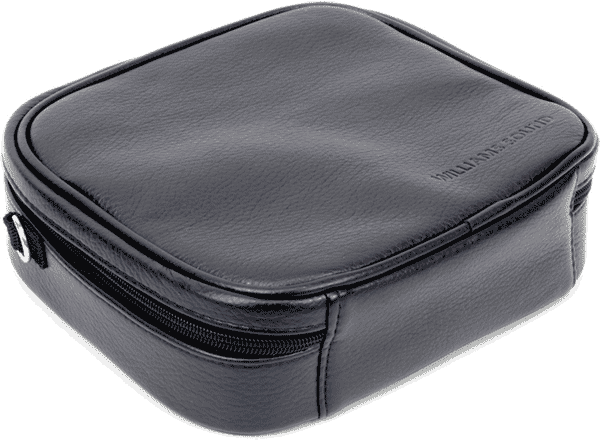 CCS 056 S Carry Case with 15 slot foam insert for body-pack transmitters and receivers. CCS 053 Heavy duty carry case with wheels and (2) 60-slot foam inserts. Compatible with all Williams Sound body-pack transmitters and receivers including Digi-Wave with silicon skins or belt-clip cases. 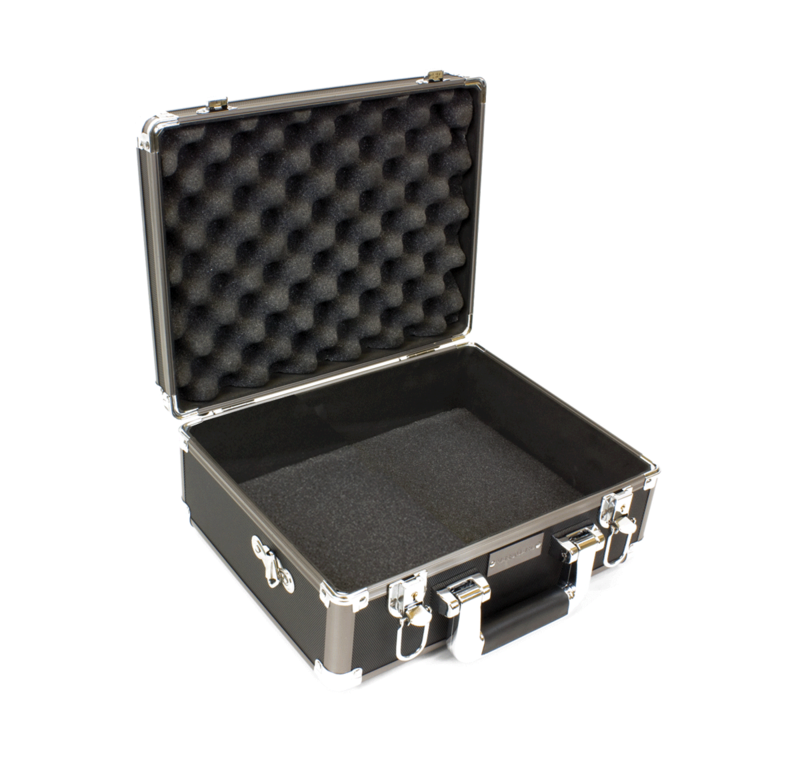 CCS 054 Heavy duty carry case with wheels and and (1) 60-slot foam insert and (1) open-bay foam insert. Compatible with all Williams Sound body-pack transmitters and receivers including Digi-Wave with silicon skins or belt-clip cases. 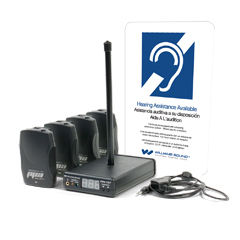 The PPA VP wireless assistive listening system from Williams Sound is designed to discretely deliver audio to listeners in public and private venues such as lecture halls, meeting rooms, churches and theaters. The PPA VP 37 meets the ADA accessibility requirements for hearing assistance and come with a 5 year warranty. Available with multi-channel receivers, it is also great in multi-language environments requiring simultaneous language interpretation and audio description. 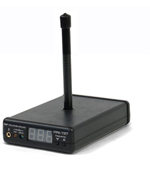 The cornerstone of the PPA VP 37 system is the PPA T27 transmitter. It will broadcast a speaker’s voice, music program,or audio service wirelessly up to 500 feet to a listening audience. Audience participants use the PPA R37, R37-8, R38 or any wideband FM receiver operating on 72-76 MHz frequency to pick up the broadcast. The PPA T27 has 17 available frequencies and features an LED display and front panel push-button channel selector. The speaker simply connects a microphone such as the MIC 100 into the 3.5 mm front panel jack to broadcast their voice. The T27 transmitter can also be used with up to five (5) daisy chained MIC049 conference microphones. This is particularly useful at large round table discussions where passing a microphone around would be impractical. Alternatively, the unit can be connected to a sound system through a line-level (RCA) jack to broadcast the audio service. The PPA R37 SelectTM Channel Receiver features a Seek/Scan function channel selector with access to 17 pre-set wideband frequencies between 72-76 MHz. The stylish, impact-resistant receiver offers crystal clear audio and is compatible with any Williams Sound Personal PA wideband transmitter. Systems are expandable, accommodating any number of listeners. Receivers include a detachable belt-clip for hands-free operation. A standard 3.5 mm stereo phone jack accommodates low-impedance mono earphones, headphones and neckloops (the ADA accessibility requirements for hearing assistance, requires one neckloop per four receivers or a minimum of two). The PPA R37 receiver is equipped with a integrated volume on/off switch and a green LED power on indicator. The green power on LED will illuminate red indicating low battery power. The PPA R37 receiver operates on two AA alkaline batteries for 50 hours of long-lasting operation. A battery selector switch inside the battery compartment also permits use of NiMH rechargeable batteries. Operating time with NiMH rechargeable batteries is approximately 32 hours. The PPA R38 Multi-Channel receiver share the same ergonomically design features as the select-channel receiver. 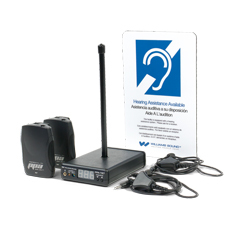 A on-screen channel selector with easy access to 17 pre-set, wideband frequencies (72-76 MHz) easily lets the user select the appropriate channel, be it for tour guide applications, audio description, language translations and/or in combination with a hearing assistance application. Other features include digital tuning, digital squelch and battery-saving sleep mode. A new stereo jack paired with the mono jack adds compatibility with a variety of earphones/headphones. The battery life for the PPA R38 is approximately 50 hours with alkaline batteries and 32 hours with BAT-026-2 1500 mAh rechargeable NiMH batteries. The CHG 3512 and CHG 3512 PRO drop-in style charger will conveniently store and charge up to 12 Williams Sound PPA R37 and/or PPA R38 receivers over the course of a 16-hour time span. The charger helps keep receivers organized and saves cost on having to replace alkaline batteries. The charger features individual charging LED indicators that blink when batteries are ready. The CHG 3512 PRO includes a convenient carry case. For smaller systems an economical two-unit drop-in charger, CHG 3502, may suffice. Note: The T27 transmitter is approved by the FCC for operation in U.S. markets. The transmitter can not be used in all countries. Check with your government´s radio regulations for 72 - 76 MHz operation.